Posted February 11th, 2013 by David Porter & filed under Hot Topics, MailBigFile, Social. 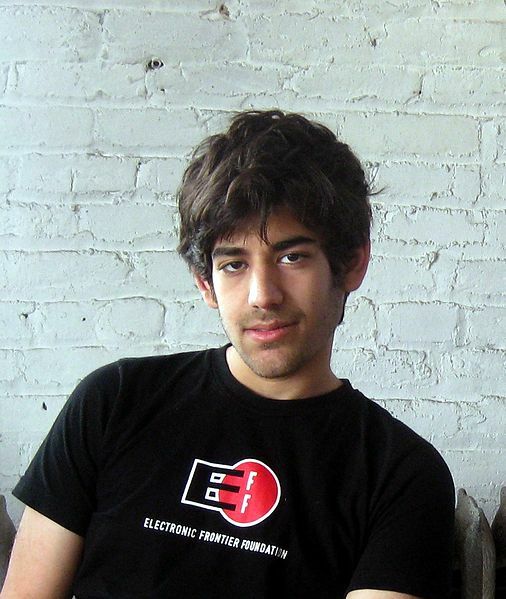 Aaron Swartz, Genius and Campaigner or Web Criminal? Occasionally an event in the world, an accident, a mishap or a piece of devastating news can make us wonder about the speed of progress (or otherwise) in our contemporary digital-driven age. The death of a young man just weeks before he was due to stand trial for theft from a university computer archive should give pause for thought and possibly cause for concern in the freedom of digital information debate. Aaron Swartz, one of the developers of RSS (Rich Site Summary) feeds, was just 26 when he hanged himself in his New York apartment. He had become a frontline campaigner for web data to be made more freely available, among other interests that he actively promoted. He co-founded Demand Progress, a group that campaigns against internet censorship. A Special Kind of Talent? His obituary in the Daily Telegraph (14 January 13) described him as ‘restless’ and with ‘a history of depression’, a man who dropped out of Stanford University after just a year to help found software company, Infogami, which merged in 2005 with Reddit, the social news and entertainment site. After other business interests were explored, including co-founding Jottit and working for Wired magazine, Swartz was a fellow at Harvard University’s Center for Ethics. At MIT he worked alongside Sir Tim Berners-Lee on ways of developing and popularising data sharing standards. In 2011 he was charged with fraud after allegedly stealing five million documents from scientific journals in the digital archive, JSTOR (Journal Storage) at the Massachusetts’ Institute of Technology (MIT). He planned to make them freely available on the net and if found guilty he was looking at up to 35 years in prison and a million dollar fine. His family blamed the Massachusetts’ US Attorney office, the university and the criminal justice system for the decisions and ‘intimidation’ that caused him to take his own life. They said that Swartz ‘used his prestigious skills as a programmer and technologist not to enrich himself, but to make the internet and the world a fairer, better place’. In reply, Cameron Ortiz, Massachusetts’ Attorney countered, ‘stealing is stealing, whether you use a computer command or a crowbar, and whether you take documents, data or dollars’. Yes, that’s true, but is there a but there….? In the meantime, in a story that under the circumstances above smacks of irony… From the West Midland Police Force come plans to enable members of the public to follow the progress of crime reports in much the same way as customers can ‘track a parcel’ online now. All the crime details and investigation updates will be posted online allowing victims of crime to access them and form judgements. They are styling it a ‘method for empowering victims of crime’. Similarly this force are applying the science of websites to ways of using more video technology to ‘encourage more people to give evidence in court’. This may turn out to be an extension of the video evidence facilities currently in place for minors to testify. Apparently their research suggests witnesses and victims are put off appearing in court ‘for fear of seeing the defendant’. It’s the way it’s going. Track your own health treatment, educational progress and timing of the speed camera fine coming your way in the post… the impersonal society. It’s just when somebody deletes himself at 26, it makes you think, doesn’t it?